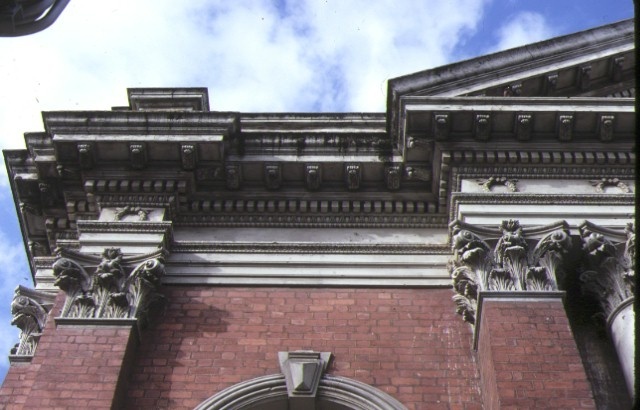 The former Church of Christ, Abbotsford was designed by architect and congregation member Jonathan Rankine and built in 1888-9 to replace an earlier building in Langridge Street. The church was one of the finest and largest erected by the Australian Brotherhood of the Church of Christ in the 19th century. The Church of Christ Collingwood congregation has disbanded and the building has been sensitively adapted to use as a Municipal Library. The exterior and many of the interior features remain intact. 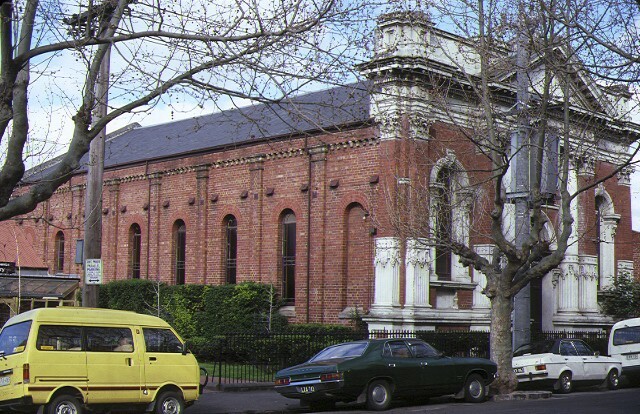 The former Church of Christ, Abbotsford is of architectural and historical significance to the State of Victoria. The Church of Christ is of architectural significance for its classical revival facade which is an exceptional and distinctive design. It was modelled on the 1682 reredos by Sir Christopher Wren in the Temple Church, London. The building is an unusual and noteworthy design and appears to have been the only church designed by Jonathan Rankine in Victoria. 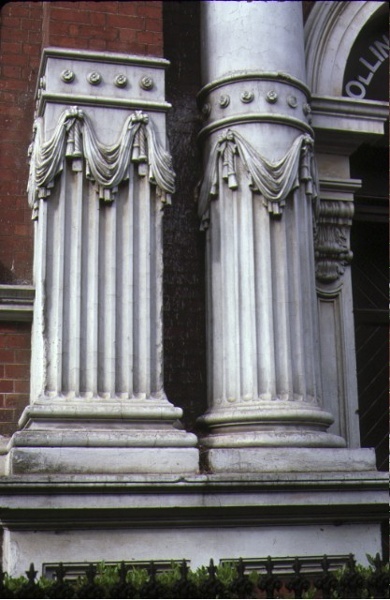 The Church’s exterior and many of the interior features remain intact, providing a fine example of classical revival church architecture, and demonstrating the influence of one of the foremost architects of London’s churches, Sir Christopher Wren. The Church of Christ is of historical significance because its history parallels that of the suburb in which it was built. The grandeur of the church indicates the important place of religion in 19th century colonial society and the popularity of evangelical sects. 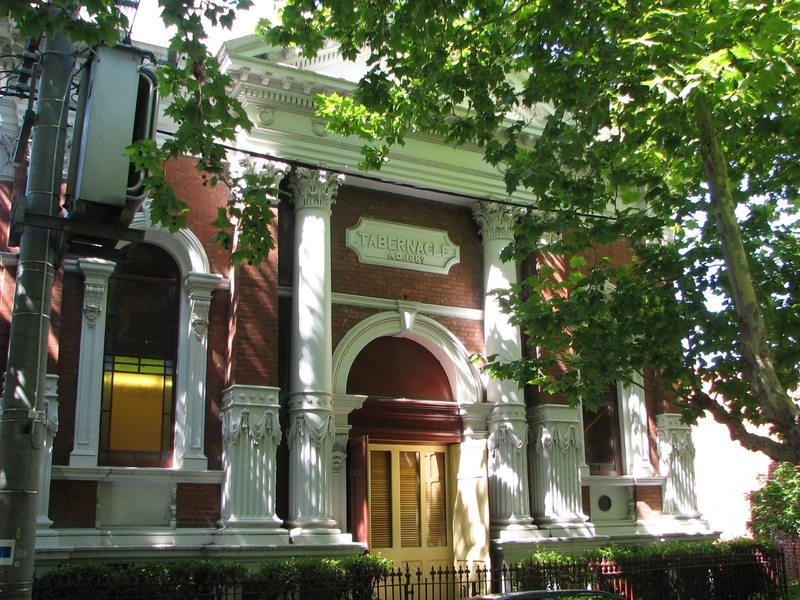 The church’s 20th century history has reflected the struggles of Collingwood and Abbotsford, with congregation sizes declining through wars, depressions and the industrialisation of the area, as well as decentralisation of Melbourne’s population after World War Two, until it was converted to a municipal library in the late 1970s. City of Collingwood. No. 141. 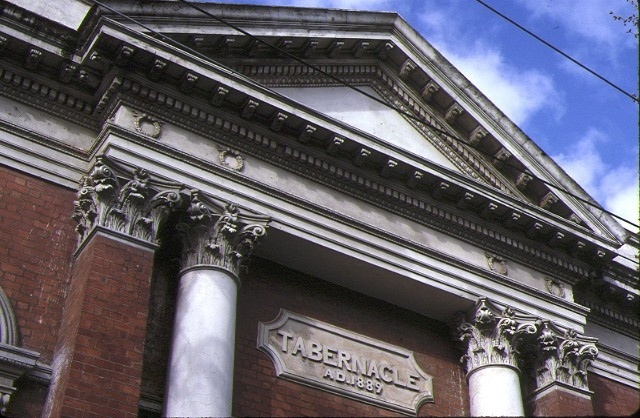 Church of Christ, Abbotsford, Stanton Street, Abbotsford.